Home » Willie’s Reserve Signature Ready Rolls Hit Las Vegas Dispensaries Tomorrow! Throughout his career, Nelson has served as the face of responsible marijuana use in the United States while speaking out in favor of legalization for medical and recreational purposes. Nelson has awaited the opportunity to share his fine-quality cannabis. And now, with top-grade, meticulously grown and beautifully packaged Willie’s Reserve, he is able to do so in Nevada. “I always knew that marijuana would be legalized,” Nelson says. “I just never thought it would be in my lifetime.” Willie’s Reserve cannabis products are also available in the states of Washington and Colorado. 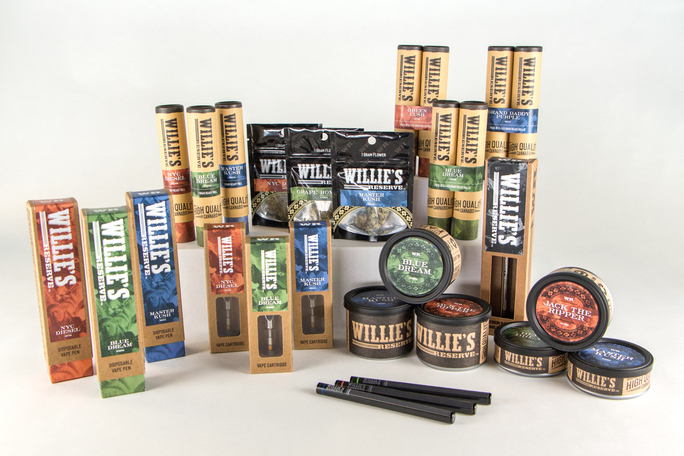 In each state, Willie’s Reserve products are grown by carefully selected, licensed cannabis producers. In Nevada, Willie’s Reserve cannabis strains are grown and distributed by Las-Vegas based company Redwood which produces a variety of high quality strains. The Ready Rolls are expected to sell out quickly, as quantities are limited.